If we look at those works of art that survive from antiquity, or if we reflect on the descriptions that have come down to us, it becomes evident that, for those nations among whom art flourished, everything they possessed, even the merest utensil, was a work of art and was decorated accordingly. The words quoted above might compose a modern manifesto for the elevation of the decorative arts but in fact they were written in 1797, almost 40 years after the dawn of the industrial age, which saw the beginning of the cleft between maker and object. As usual, Goethe, in his essay ‘Art and Handicraft’, got it right. In considering the status of the decorative arts today – and of the crafts, although they are not one and the same – we must attend to Goethe’s use of the word ‘utensil’. In the 20th century especially, the exaltation of the artist as purveyor of subjective, inchoate meaning rather than ‘mere’ beauty led to the ever stricter quarantine of fine art from objects of use. What constitutes the difference is a fraught question, one sometimes so perplexing that I must resort to quotation and example to illustrate, rather than answer it. If we cannot claim in the 21st century, as Goethe did of past civilisations, that everything we possess is art, there are nevertheless notable examples of architecture, furniture and objects that, through the maker’s ambition, intensity and search for meaning, are suffused with beauty and enter the realm of art. 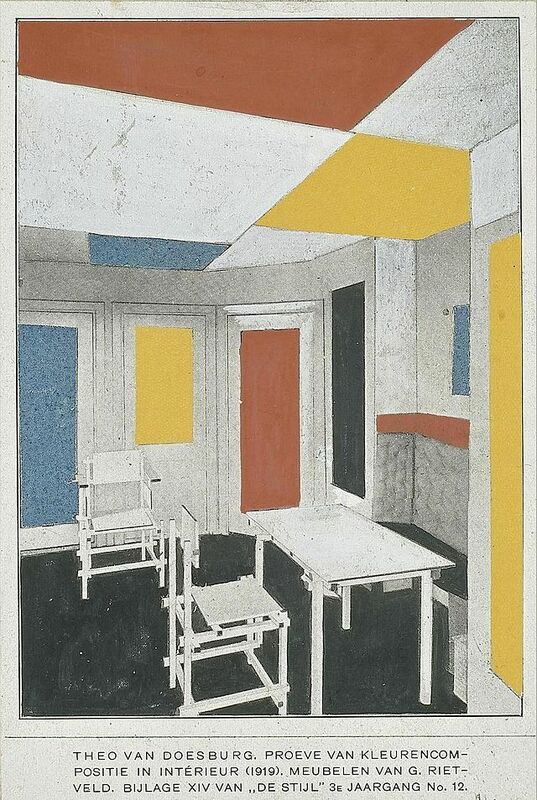 I think of Gerrit Rietveld, and Theo van Doesburg, both exponents of the Dutch De Stijl movement, who pursued their designs for houses and furniture with such unmediated concentration as to produce works that transcend category: their houses and their chairs are art. An earlier proto-Modernist, Christopher Dresser, also comes to mind. His ceramics, glass and metalwork, many designed for mass production, have the presence and immanence of works of art. Dresser’s intention, as far as we understand it, was to rationalise and beautify the industrial arts of England, in many cases looking to Japan for inspiration. Conversely, in the 20th century, there were indubitably ‘fine’ artists – notably Scott Burton and Richard Artschwager – who chose the familiar forms of furniture as the point of departure for their sculpture. Fine art engages some mental process, a leap or jump, and perhaps most trenchantly, engages the possibility of failure; whereas craft, design, or the decorative arts, whatever name we use, fulfils an existing brief, often brilliantly. Designers of genius, of course, make art. Sometimes talent comes into it, to paraphrase the painter Cy Twombly.The present upsurge of interest among fine artists in ceramics, especially – the material from which the bronzes of Rodin and Brunelleschi sprang – means craft, and fine art, can no longer be defined by material, which we have often judged by our own poverty of vision. As museums struggle with new concepts, with mobile boundaries, they will have to rely on consensus rather than categories.